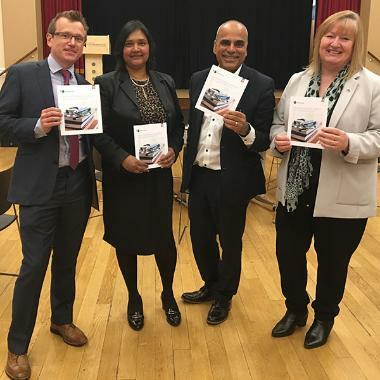 A new course aimed at encouraging students from a wide range of backgrounds to pursue a career in healthcare has been launched by the University of Wolverhampton. The new Bachelor of Science (Honours) Medical Science and Clinical Practice degree has been designed by the University of Wolverhampton’s School of Sciences in partnership with the University of Birmingham. The course, the first of its kind in the region, will widen participation to higher education and, through an innovative programme of medical science and practice placements, enable graduates to pursue a wide variety of healthcare careers. Expected career pathways include undertaking a post-graduate diploma in Physicians Associate studies or undertaking a NHS Healthcare Scientist Training programme. Students with the appropriate professional and academic qualities may also be able to transfer onto the MBChB Medicine course at the University of Birmingham after completing their studies. The degree has a strong clinical focus with an emphasis on disease processes, pathology, anatomy and physiology. Students will have access to a range of work placement opportunities built into the curriculum, including working in the care sector alongside General Practitioners (GPs) and nurses as well as shadowing consultants and clinical scientists. Students will have access to state-of-the-art simulation technology, including an Anatomage Table (Virtual Dissection Table) and will study in the laboratories at the University of Wolverhampton’s £25 million Rosalind Franklin Science building. They will also benefit from workplace-learning opportunities with strategic partners. The first intake of students will start the course in September 2018. Visit the website for more information about the course. Picture caption from left to right: Professor Jamie Coleman, Professor Nazira Karodia, Professor Dev Singh and Dr Alex Hopkins, Dean of the Faculty of Education, Health and Wellbeing. For the full article and video click here.